„MOMENTUM“ – is the name of the brand new trio of the Cologne based Saxophonist Katrin Scherer. Reduced to a total of only three instruments, Scherer, Schaefer and Thomé explore exciting improvisations never back ajar, but always at the edge of surfing. 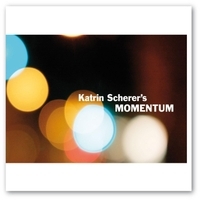 The profile of the music bears clearly the unmistakable signature of Katrin Scherer. Their compositions form the outer frame of the music and are a starting point for wild but also minimalistic improvisations. Scherer, Schaefer and Thomé produce a lush, barren, powerful, subtle soundscapes and are always on the pulse.